Hiring a commercial roofing contractor entails many steps, but the first step, the estimate, should be treated like a job interview. It is always a good idea to obtain at least three different bids from roofing companies. 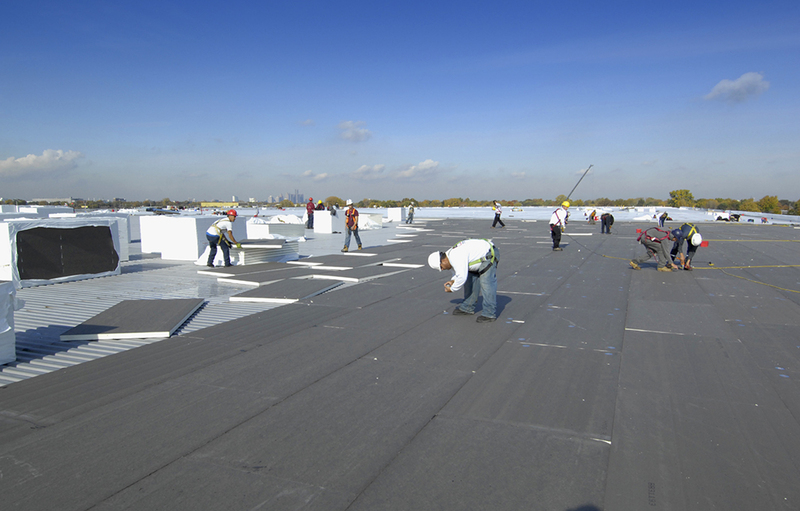 Adding a new flat roof to your building is a big investment, which also makes it a big risk, so you want to make sure you find the best fit. The information roofing contractors provide and the way they act during the estimate process will provide you with a good indication of their overall professionalism, communication skills and level of experience. The roofers’ bids should include the outline of the project, from start to completions dates. It should also include cost of labour and materials, warranties for materials, cost for permits, if required, and details about cleanup and removal of construction debris. It is the responsibility of each roofing company to provide you with information regarding their qualifications, licensing, insurance, warranties and payment options. Don’t hesitate to ask roofing contractors questions or to ask them to clarify any conditions or clauses that you don’t understand. Do you have liability of insurance? Ask to see the certificate. Can I have a breakdown of the costs? Do you offer material warranties? Do you offer a lien waver? A lien waver is a document from a contractor to a claimant stating that payments have been received and that any future lien rights to the property (of the owner) will be waived. Is your company certified by a product manufacturer, such as Firestone Building Products? How do you communicate with your roofing customers throughout the job? How will the property be maintained throughout the roofing job? It is also a good idea to do your own research. Look up the roofing company credentials online. Do they have their own website? Read customer reviews and testimonials and find out what their status is with the Better Business Bureau (A ratings are what you’re looking for). Use online resources to verify whether the roofing businesses have a valid business license, roofing license and current workers’ compensation insurance. Request a quote from Empire Roofing for your TPO, EPDM, PVC, Built Up Roof, Modified Bituman Roof, Flat Roofing or Green Roofing, and if you have any questions, contact us today.